Most of us have walked into a store and noticed security cameras installed to deter theft. Cameras can discourage thieves before they act, or identify a thief after an item has been stolen. 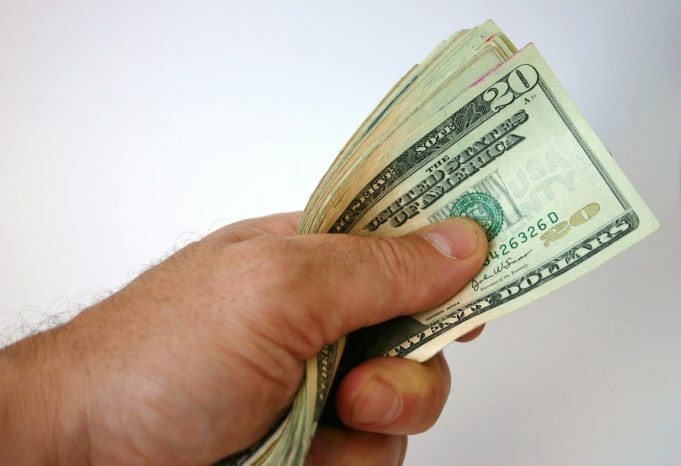 However, you may be surprised how often items or money go missing as a result of employee theft. A 2015 Forbes article set out to measure the cost and causes of retail “shrinkage” – the term used to describe items missing due to theft, poor bookkeeping, or any other factors. Citing the Global Retail Theft Barometer, the article reported that employees account for 43% of revenue lost to shrinkage in American stores, compared to 28% globally. When designing anti-theft systems for a business, keeping this fact in mind will help create the most effective solution. Here are some tips to consider when planning your own retail or commercial security measures. Placing security cameras in well-hidden areas of a store or business to keep an eye on “customers” who may wish to leave without paying for items is a common strategy. However, also consider placing cameras in locations that monitor employee activity. Make sure your cameras catch any areas with cash registers or where financial transactions occur. These locations give employees direct access to your money and goods. In addition, monitor any area that houses valuables or expensive items, as well as any entrances and exits. This plan of attack offers two advantages. For one, you obviously have a better chance of catching employee theft with the additional protection. But now you can also verify your employees’ testimony. If cash or items go missing and your employees claim they were elsewhere during the time in question, your cameras can provide video evidence to back them up. To give the perception that you’re always watching your cameras, even if you rarely do, call up an employee while off site and ask them about something you see on the cameras. “Why is that box still on the loading dock?” “The trash can in aisle 4 looks full, go empty it.” This exercise performed on a quarterly basis can give the perception that employees are always being watched and can deter the desire to steal and deter the likelihood of slacking off. Having an alarm system installed in your business is a standard loss prevention must-have. However, many business owners give the same user code to all their employees. This mistake prevents the owner or manager from being able to tell exactly who armed or disarmed the system. As we outlined in our previous blog entry 5 Security System Use Tips, using multiple alarm codes can prevent former employees from disarming your burglar system. If you have remote interactive services for our alarm, like the kind we provide hosted by Alarm.com, the alarm system will even notify you every time an employee arms or disarms your security system. When an employee disarms the system after your store is closed, you will know. As long as you keep different codes for different employees, you will also know exactly who disarmed the system and when. This can help you solve an employee theft performed during non-business hours. Like cameras, unique user codes can also keep you from suspecting the wrong employees. Do you know how many copies of the key that opens your business are out there? Are employees making copies of the keys you give them without your knowledge? Even when you get the keys you issue back from terminated employees, are you certain they didn’t make any copies while they had them? Knowing who has keys to your business can dramatically decrease this risk. 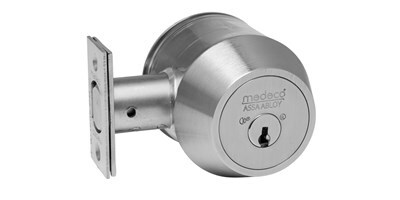 Utilizing “restricted keyway” or “key control” lock hardware, such as the kind we recommend made by Medeco, will allow you to be certain how many copies of a given key exist. With key controlled locks, only employees that you’ve authorized to make copies of their keys are able to do so. The traditional hardware store won’t even have the blanks needed to make a copy if they wanted to. Medeco and other restricted keyway systems also feature numbered keys. This makes it easy to track how many keys you have out there and who has which key. You can also set up a master key system to dictate which keys can open which doors. If you have a “master key,” it will open any door you wish. On the other hand, employees will receive keys that only allow access into specific areas. Employees often target items in an area they don’t usually work in to escape suspicion. A master key system can help you with this issue. You will find this especially helpful if you keep many doors in your business locked regularly. Of course, controlling your keys and your alarm codes help greatly in controlling who can come in your building and letting you know when they do. However, a key works 24 hours a day, 7 days a week, and on holidays. An access control system can take your security measures one step further. You can set up an access control system to deny access to some or all employees during certain times. For example, an employee that works weekdays will have no access to your business on weekends unless you allow it. You can also decide when people will need to punch a code or swipe a card to enter your business. If you wanted to set up free access into certain doors from 9 to 5, you could set up your access control system to work only outside of those hours. Just as with a mastered key system, you can also set up levels of access. Specific credentials will allow trusted employees into important areas of your business. Most credentials will allow only a basic level of access. This way, if something does get stolen from an area such as your personal office, you can immediately narrow down your list of suspects. Employee theft often takes place because employees do have access to desirable products or information. Many business owners find that things go missing if they leave valuable products or information out when they leave. Installing a safe can greatly reduce the risk involved in keeping sensitive information or valuable items at your business. As an added bonus, a safe protects valuables against more than just theft. 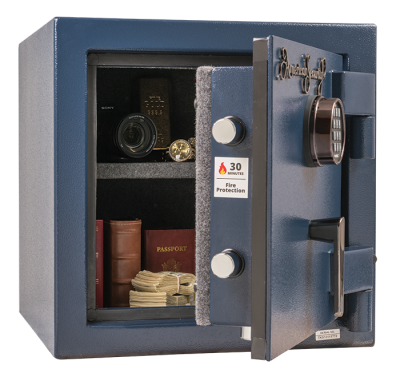 Depending on what type of safe you install, your safe can protect against fire and other natural disasters as well. Just make sure you buy a safe that is rated against the threat you’re trying to minimize. Make sure you follow the 10 Best Practices for Safes as well. Striking a balance between making your employees feel trusted while at the same time limiting your risk can be a delicate issue. Most times, using a few visible security measures will often give employees the perception they are being watched even at times or in areas they aren’t. This can often help “keep the honest people honest,” as the expression goes. Implementing these 5 security measures will give the perception to employees that if they do commit a crime, they are likely to be caught, so it’s not worth the risk. If you have questions about any of the items mentioned here, contact us. We will be happy to provide a free security consultation to see where your business could be at risk for employee theft and recommend steps to take to prevent it.